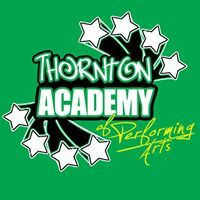 The Thornton Academy of Performing Arts was established in 1993 by Sue Tyler. The academy has a purpose built studio in Linthorpe Village Middlesbrough, holding classes in Ballet, Tap, Modern, Jazz, Acro-gymnastics and Musical Theatre. The classes designed for children, young people and adults with SEND incorporate exercise, dance routines and varying dance styles allowing students to perform in a safe secure and happy environment. Students can compete and work towards a BATD qualification. There is also the option of Private Lessons. Please visit their Facebook page for more information.